I recently attended the Contemporary Greek Dance Platform at Megaron in Athens. It was a three-day event with performances running from 9pm-12.30pm each night. The programme varied each day with featured works by young Greek choreographers selected by an international jury. The work I saw on Sunday evening seemed influenced by post-modern aesthetics and infused with political and religious referencing. The continued interest of post-modern aesthetics is a curious one. Have we not moved on to something else with its own distinct characteristics? Something that is of today? Perhaps there is a stagnation in our evolution as an artistic practice or, perhaps, we have exhausted our ideas? 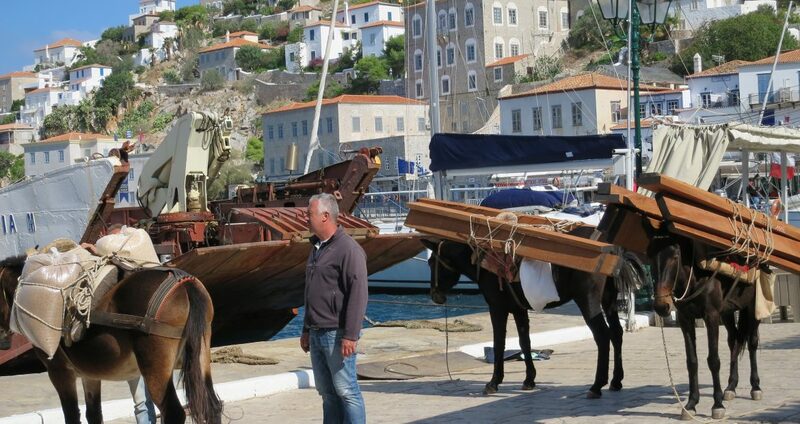 Skip ahead to my time here on the island of Hydra where no cars are allowed. The sounds of footsteps, horse hooves and chatter that are amplified when the hum of cars is silenced. A return to human movement and labour. The dependency on our own bodies, abilities and capacities. The use of the body. I am drawn to their approach and hope to connect with them in the near future. A final send off for thought…. Abandoning art as mere entertaining commentator to the grand spectacle of our unfolding society, R.I.C.E. pursues new forms of civic life and social ethics that emerge from the basis of embodied reality: sensing and aligning demos—the collective body—within democracy.